I have no idea why I haven't tried any Maybelline Color Show nail polishes yet. 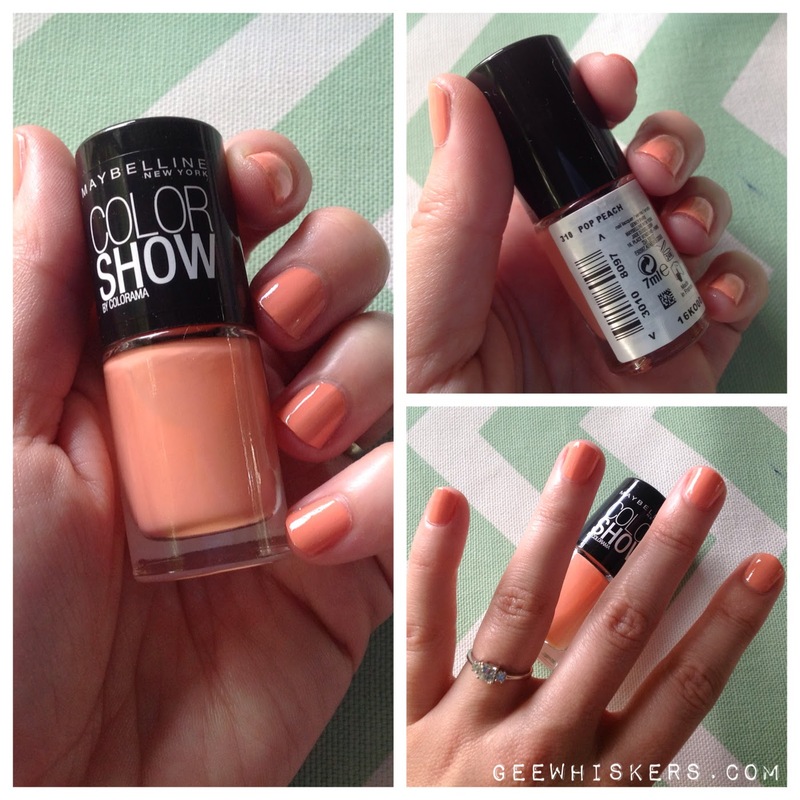 When I attended the Maybelline Product Launch I received a nail polish in my goodie bag called Pop Peach. I don't usually wear peaches because orange is not really my favourite of colours, but I must admit that I quite like this shade. Definitely something that would be perfect for spring or summer time. I am really impressed with quality of the formulation. The nail polish applies smoothly and evenly. I got around 4 days of chipfree wear which is very impressive. Yeah, these nail polishes are fantastic! I have the white one, I think it's called 'winter baby' but it's awful. I have to apply at least 4 coats for it to be white, and by then it's thick and gooey. For R40, I think I'll try this colour to give the range a fair chance. A lot of nail polish brands have some colours that just don't work well. This colour applied well and looked great. Gosh that peach looks stunning on you!! I have only tried one of these polishes and I was really impressed. Not sure why I have't bought more.